PRICE REDUCED! 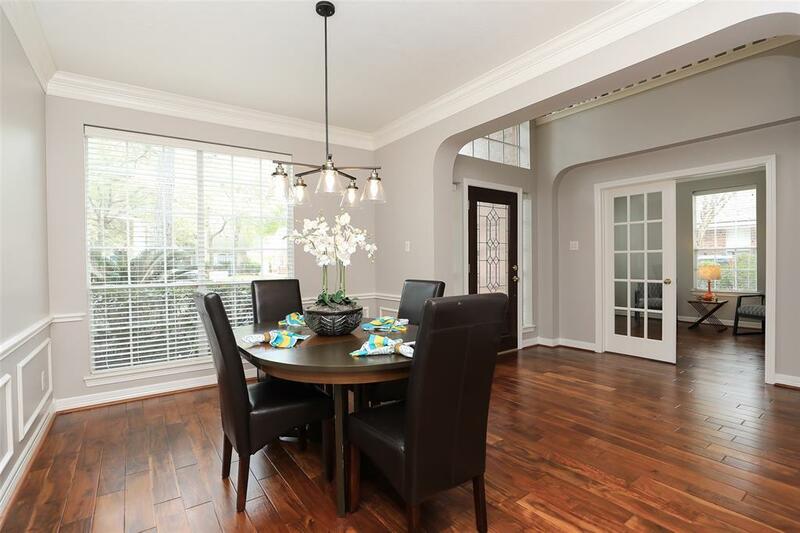 Crisp, Clean & Spacious Move-In Ready Trendmaker Home on Wooded Cul-de-sac Lot with 1st Flr Dedicated Office & Flex Room! Freshly Painted Interior (2019). Carpet-Free 1st Flr. New Updated Lighting/Fans Thruout. Gorgeous Hardwoods. New Carpet 2nd Flr. 2" Blinds Thruout. Dual Island Kitchen w/ Quartz Counters, Recent Oven & Gas Cooktop, Breakfast Bar. 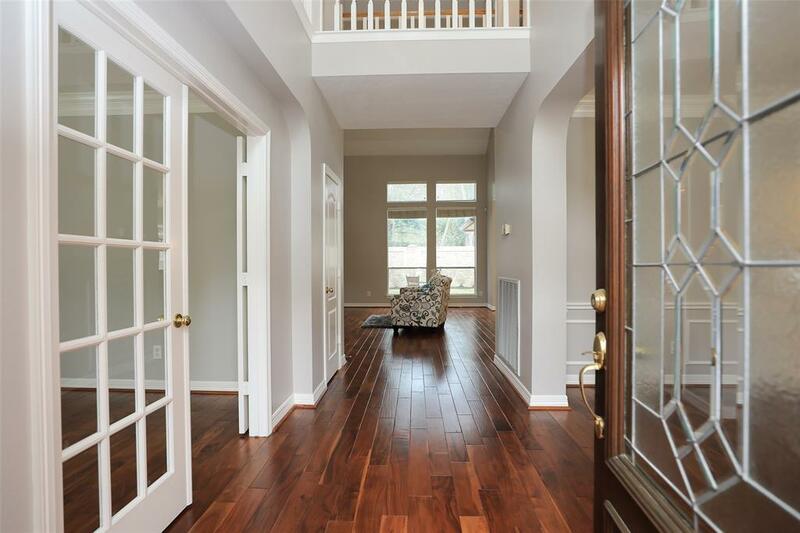 2-Story Family Room w/Surround Sound, Gas Log Fireplace, Built-Ins. 1st Floor Flex Room w/Under Staircase Storage. 1st Floor Office w/French Doors. Large Guest Bath. Laundry Room w/Additional Cabinetry. Walk-In Decked Attic Storage. Exterior Paint (2013). Garage with Cabinetry & Partially Decked Attic. Stamped Concrete Patio (2018). Gutters (2018). HVAC (2013). Roof (2014). Sprinkler. 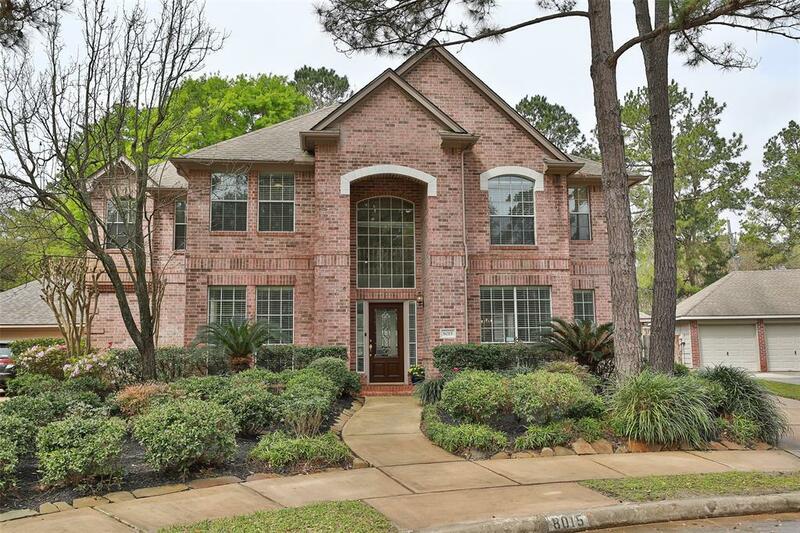 EXCELLENT LOCATION-only minutes from BW8 & 290. NEVER FLOODED!!! 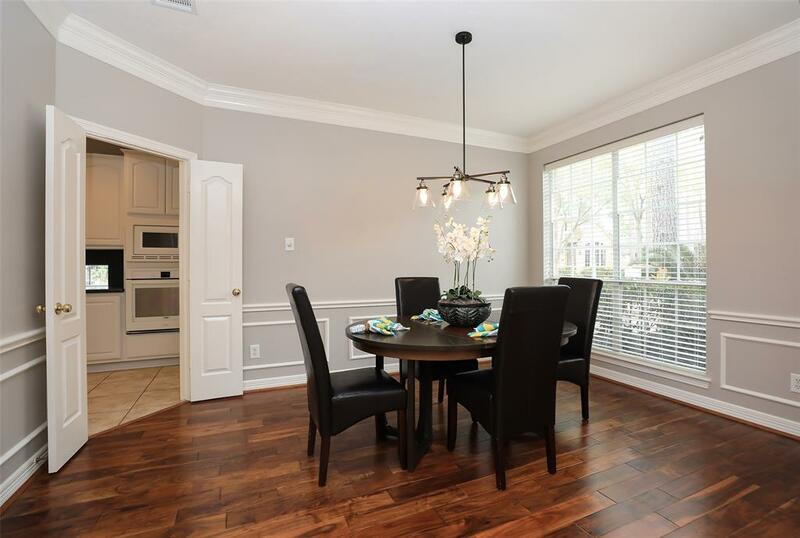 Upscale Community of Woodwind Lakes has Adult & Family Pools, Tennis Courts, Pavilion, Dog Park, 3 Wooded Lakes w/Walking Trails and Catch & Release Fishing... A Definite Must See!